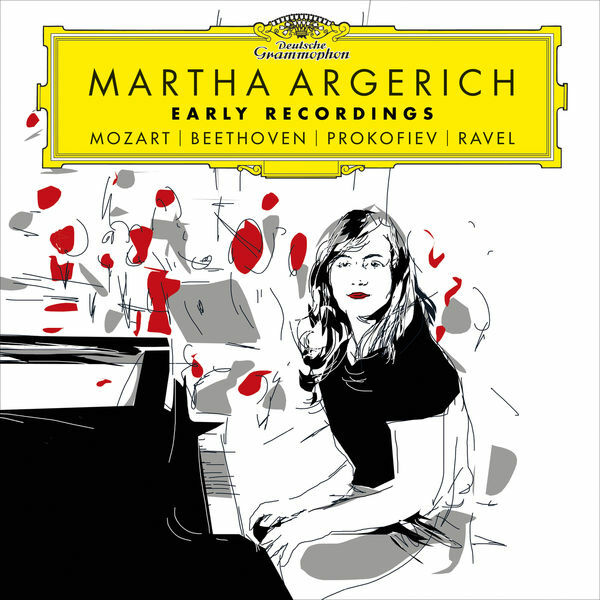 Most of these recordings were made in 1960, when the pianist Martha Argerich was just 18; there is a fearsomely proficient Prokofiev Piano Sonata No. 7 in B flat major, Op. 83, from seven years later, after Argerich had won the Chopin Piano Competition and was on her way to stardom. The recordings are taken from radio broadcasts that are quite good sonically by 1960 standards, and they give abundant evidence of why those in the know spotted the young Argentine and began to give her bigger opportunities. Sample the opening movement of the Beethoven Piano Sonata No. 7 in D minor, Op. 10, No. 3 (CD 1, track 4). Argerich imparts a kind of restless push to this slow introduction that fits it very well. In general she takes fast tempos, but exerts iron control over the music, and in the outer movements of the late Piano Sonata in D major, K. 576, of Mozart, this is very effective indeed. The second disc of the CD set is devoted to show pieces by Prokofiev and Ravel, and the duality of intellectual music done with flair and bravura and virtuoso works done with a probing attention to structure has sustained Argerich throughout her career. Highly recommended for Argerich fans, and really for anybody.